Georges is a charcoal barbecue with lid, inspired by the "round" model. 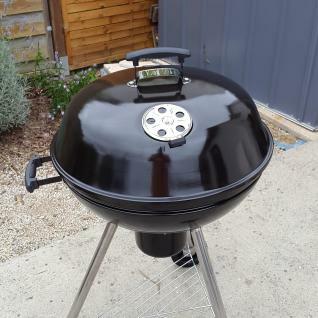 This model is popular because it could not be any simpler to use, and because of its different settings which allow it to be used as a smoker or a traditional barbecue. The Georges barbecue ignites and cooks your food quickly thanks to two vents which fan the embers. They are adjustable to regulate the air flow, so as not to consume the coal too quickly. To allow the air to circulate well, the Georges is equipped with vents under the tank, on the ash collector and on the hood. The lower vent is easily operated by a long lever. 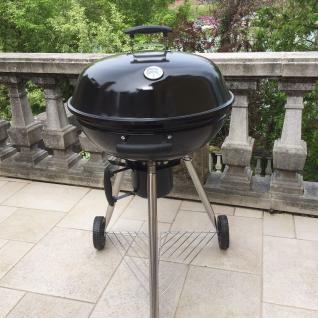 Additionally, the charcoal is placed on an enamelled interior grate to allow an air vacuum for the oxygen to be supplied via the vent below.The Georges barbecue is stable and can be moved easily thanks to its two large wheels. Its well designed hood is equipped with an interior hook, to attach it to the tank so it is not left on the ground when you lift it to check your cooking. 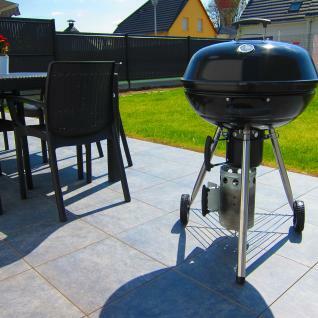 The barbecue has several grates: one for cooking, one for the charcoal, and one at foot level to store your accessories. 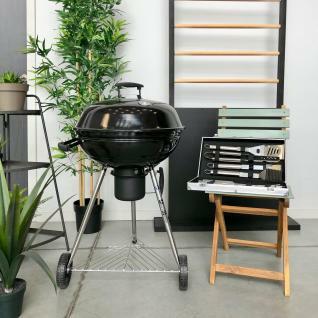 A thermometer lets you control your cooking.With a tank and lid in high-quality steel coated with heat-resistant enamel paint, the Georges barbecue is a quality product. The interior of the hood is also coated with black enamel paint. Large handles let you handle the barbecue safely and easily, even when hot. There is also an ash collector. Cleaning is easy because the ash collector is easily removed.